Appearance: After Jessie’s transformation, he quickly found he wasn’t a he anymore. ‘He’ would not have known it, to be honest, had ‘he’ not have had the sense to head the to professor ASAP as soon as it started. He has few differences from a normal venomoth. She has brighter colors. Her wings being a luminescent purple. Her abdomen is very furry, and not at all scaly, but that holds true for all venomoth. The lines are due to normal lines of darker furr. Unlike all others, she had a tribal tattoo in the shape of a venomoth, which had formerly been on ‘his’ stomach. It has retained itself on her furry abdomen. The white fur turning black from the ink formerly on her belly. It is the easiest way to distinguish him. However it’s slightly distorted due to the fur, and is only clear from head on. As a result, she is able to blend in as a normal pokemon. And wild color and pattern variations are common in pokemon, especially now. Unlike most venomoth, her limbs, the 6 of them on the chest, are not simple claws, but small arms in miniature. They are used mostly for the purposes of grasping objects, holding onto trees, etc. They have all the normal venomoth uses, but are more nimble and dexterous. They are slightly larger in proportion than a normal venomoth’s but not by much. Despite her rather furry body, her wings are much similar to a typical venomoth, and too much contact can cause poisoning. They seem to shed a dusty material which, as much as she can shed, appears to grow by amazingly fast. Her head bears the normal 3 prongs of a venomoth. In short, unless a person has seen him much or has other ways of telling, she usually passes as a venomoth, though perhaps one a little bigger and better looking than others. Her voice is light and soft, though often not in a ‘whispering’ sort of way. This is due perhaps to vocal cords that are not entirely human. Personality: As a human, Jessie was a normal man. He loved travel and being a trainer in general. And as his rank suggested, was very good at it. He was only 20 years old when he took the title of champion. He was one of the worlds greatest trainers, and officialy, “the” greatest. The only reason his title has not been claimed is due to quick action from a professor he had lodged with during the transformation, who called in his transformation. He was a happy, giving man, always giving money or food out whenever someone was in need. It was one of the things he was famous for. He was never one to suffer the media though, and still hates it. Thus he was not nearly as famous as he could have been. But now things have changed. After the transformation her (and the change from he/her is intentional) nature has changed a bit. She is less public than before. 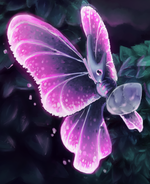 She has had no problems with media, and only those who were aware of the tattoo or contacted by a professor, know how to tell Jessie apart from any other venomoth. She is far more fond of the night time than before, and has a strange attraction to bright or shiny things when it’s dark. Though human intelligence is strong enough to calculate the situation. She is still friendly as ever, loving to be around people of all kinds, as well as pokemon. She has had some changes however. Her body has different demands. Her eating habbits have changed, for one thing, and in daylight she prefers to stay in shade when possible, preferring night. Jessie has little to do with all the fighting and bickering. She thought it was horrible as a human, and still thinks it is horrible as a morph. She prefers not to get involved in such things. That said she is and always has been willing to protect others As a human ‘he’ had received many scars protecting people and pokemon. One thing Jessie was famous for was a burn from jumping in front of a caracara’s flame thrower to protect a little spewpa all thinks and people disserve to live. That said, as a human Jessie was not a vegetarian. Stilling causing pain needlessly is wrong. As a morph, very nearly a pokemon, the only reason Jessie can continue her battling is by the loyalty gained from her pokemon as a trainer. Goals: Despite being officialy the best trainer in the world, and known un-officialy as one of the best, Jessie does not plan to proceed forth and gain more fame. She intends to take a student, a new trainer, and train them. Another big goal is ending this pointless war. If humans and poke morphs keep fighting there will be few people left. For the most part, Pheonix is a rather baic blaziken, it is the average size being 6 feet 3 inches. The only thing that can be said is that he boasts brighter colors than normal. His reds are bright, flaming red, as with his yellow. He is well trained and taken care of, and that shows in his appearance. Gaia is bigger than some torterra, standing at 7 feet 7 inches height, rather than the average 7 feet 3 inches. 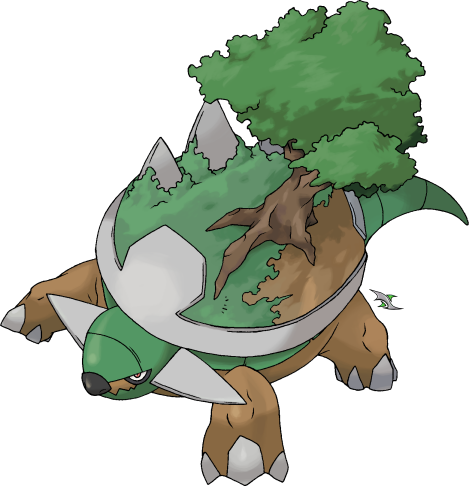 He has a large body, which, as all torterra have, resembles a minature continent, with mountains, forests, and plains upon his back. Gooey is amazingly friendly. She walks up to random trainers and gives them big hugs. 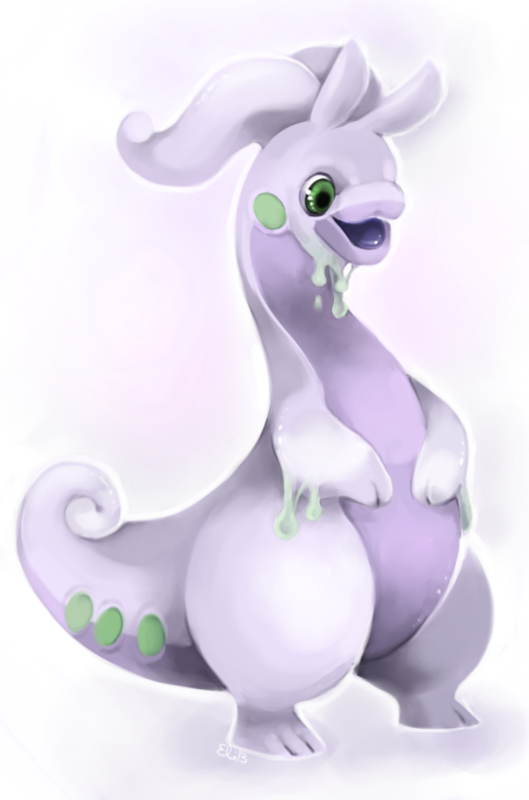 This is common among Goodra though. She is only average in size, about 6 feet 7 inches. There are no noticeable color changes other than the horns being that light purple of the belly, instead of the typical white. Education: College educated with lower level degrees in pokemon studies as well as general studies and psychology. Skills/Talents: Jessie is very skilled at her old job, which was, battling. She still commands the loyalty of her pokemon, and that is how she is a trainer. She has great skill and knowledge in that area. Years of battle and travel have increased her knowledge of both the world, and pokemon in general. Combine that with just the right amount of confidence in herself, without becoming arrogant, and she has talent. Weaknesses/Faults/fears: Jessie can not bring herself to kill. Even in these times of struggle and war between the morphs and the humans. She is more than willing to risk her own life to help, but never kills. She also fears that new pokemon will not accept her as a trainer given her current form. As of yet, this has not occurred, but it is a fear. The only reason she thinks her current pokemon are not abandoning her is because she earned their respect while human. Jessie was born a male, oddly enough. He was always a fast learner as a baby. As an infant he was always walking around, watchign everything. That is, when he learned to walk. Jessie was born in Orancia, which was more populated and not abandoned yet. Jessie has no sob story. There is none to tell really. He grew up with parents to loved him, and did all they could for him. They provided everything they could, but as lower-middle class, they had little money to spare on toys and whatnot. So Jessie grew up playing with pokemon. One of which was one she was raised with as a companion, Gooey. The name isn’t very creative, but he was 4 when he named it. The little Goomy crawled all over everything, leaving Jessie’s bed, the kitchen chairs, and a lot of other things, very gooey, hence his name. Jessie’s parents were not thrilled, but considering that he had been playing with it in the yard when they first found it, and could see the rapidly growing bond, they had been the ones to capture it for him. Jessie took it everywhere, including to school. It was quickly banned from the school. The teacher did not appreciating it smiling and crawling all over the chairs, leaving students and chairs covered in goo. Thinks went well for Jessie though, and he learned fast. He went quickly from school, he learned fast as always. Jessie managed to skip 2 grades in total, though not in a row. It had little to do with being a genius, and more with learning fast. So, at the age of 16, Jessie was enrolled in a small college nearby. He studied maths, sciences, and pokemon related classes. In short, whatever he needed for General Studies. By the time he was 19 he had an associates in general studies, as well as pokemon and psychology. But he neglected to study more. He didn’t need fancy degrees in his oppinion. And so he set out on his journey. His Goomy quickly evolved into a Sliggoo. His travels around the regions of the world brought him much knowledge. And with a college education he was already farther on the path than many trainers when they started. He first traveled to all the cities and lands of what is now Apexia. Traveling through the volcano and grasslands. Jessie then made for the lands now in the realm of Spira. Mount Mi’ihen was one of the tougher challenges. He did manage to catch a venonat there however. By the time he was into the lands of what is now Rathia, he was 21 years old, and already considered a very powerful trainer in his own right. He quickly managed to become one of the world renown Elite 4, a guardian to the champion, keeping unworthy trainers from pestering him for official fights. He was not even close to 22 years old when he first managed to defeat the champion, stealing the title for himself. It was both a rush and a bit of a let down. He essentially swapped places with the old champion, him becoming an elite 4 member. He was fighting a person in an official 3 on 3 fight, and the rules stated he could only have 3 of his 6 pokemon on him, and after drawing them from the bowl, he sent the others to storage. It was just an hour after winning the fight, when he heard the news. His pokemon had been destroyed. An odd sickness had been causing much suffering, and apparently an apprentice studying under the professor was ill and passed out, knocking over a lamp, and setting a blazing fire. Hundreds of pokemon died, including all of his but the 3 he had on him. But as he mourned them, he got sicker and sicker as this odd new sickness took him. He was dying, hours from death, when news came of a cure. After a dose of pokemon tears he survived the night he was expected to die during, and in barely more than a week was back at full health. It was nearly a year before he knew any more. He had reigned as champion for less than a year when the symptoms of the change started. He was not the first, by now over 70 had changed. He immediately headed into a lab, under a professor who had lived in Orencia. He was watched over when the change bore down on him. It was nearly 2 weeks until it was over, but those were painful bed-ridden weeks. The morph species, Venomoth, was easily distinguishable. But the fact that his own gender had changed was unknown. Several days after the change had finished, Jessie had been flying around outside, before he was rushed back in. After a closer examination and some triple checking, his gender swap was confirmed. Picking a gender from a species who’s colors varied was no easy task, and it had been missed. His was the first confirmed case of it happening, and it was unknown before that it could happen. But the odd dancing movements of the flight, that Jessie had not even noticed doing, had alerted him. Having studied that species, he recognized it quickly as a female ‘dance’ designed to attract and court males. And it didn’t help when later that day 2 males showed up, trying to get inside the building at Jessie. With only Pheonix, Gooey, and Gaia left, Jessie is weaker than before as a trainer, but then again hundreds of pokemon had died, so he wasn’t alone. The Elite 4 had been notified that he was alive, though many in the public thought the media, which was unsure of his whereabouts, was just keeping it quiet. For now, Jessie plans to recover and adjust. As well as perhaps finding a new trainer to teach and train. Jessie was just getting used to it. The entire body was so alien. She struggled to figure out all the new limbs at first. Having 6 tiny arms instead of 2 large ones was just plain new. Then she was learning about flight. Fortunately, as a morph who seemed more pokemon than human, she was able to draw upon instincts, which helped. But it was incredibly odd to have all the extra limbs. And no legs! It was only a few days after the transformation had stopped, and she was still desperately trying to get around without legs. The biggest thing she could do was fly untill she crashed at this point. She let out a sigh. It was good that she had human enough vocal cords to allow human speech, even if it was higher pitched and a light, fluttery voice. But she was outside now The professor she had fled to in Orancia was taking care of her. 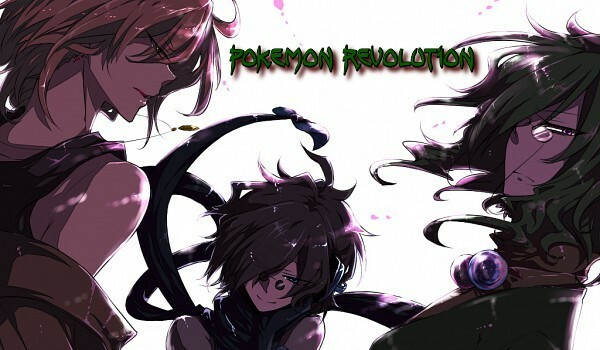 Only the Elite 4 themselves knew of her being alive. And as of yet challengers had not beaten them all. Jessie rested, landing from her clumsy flight, grabbing Gaia's tree branches on-top of his shell, and simply resting ontop of him. He was big, there were no problems with that. She was extremely gratefull that they hadn't abandoned her. She had expected it. It was a great fear, that now that she was so much like a pokemon, no pokemon would obey hers. The only reason Gaia, Pheonix, and Gooey did was because she had trained them while a human, had gained their loyalty before hand. Jessie shook her head energetically, clearing it. She released Gaia and resumed re-leaning the control of all her limbs. But at least it was a beautiful evening. Being more Venomoth than human, she found she liked dawn, dusk, and night better than the day itself, and preferred some clouds to be in the sky, unlike many people who liked bright sunny days. But nights needed to be cloudless, so she could admire the moon. Done. I added a RP sample. In addition, it is wrong for staff members to approve their own posts, so this will probably sit here until approved by someone who isn't me. Approved! I tried to have someone approve me even though I was an admin, and everybody got really weird about it. Go figure. some peopel are used to crappy sites where staff approve themselves.